Earning money for your school is easy! This year we’re making $700,000 available to participating schools to invest in classrooms, equipment and essential supplies. 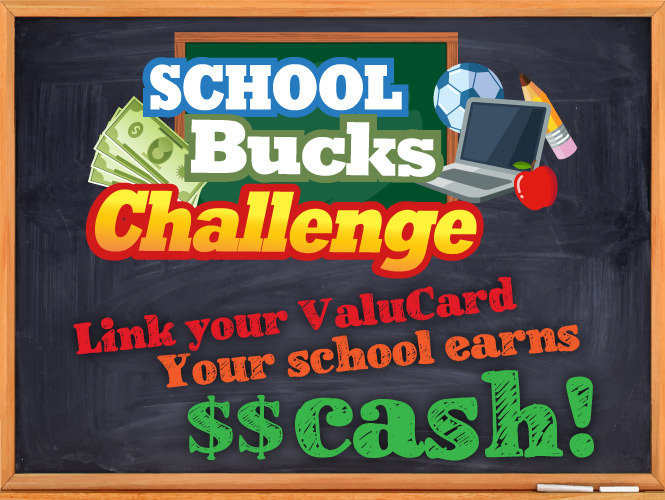 For every dollar spent at Food City* using your ValuCard, one point will be earned for your school. The more points earned, the larger share of the cash your school will receive. All you have to do is link your ValuCard to your school of choice and you’ll automatically earn points every time you shop! *Please note that points are not awarded on purchases of gift cards, fuel, Western Union services or lottery tickets. Simply login to your account and select your school to link your ValuCard and start earning points. If you prefer to link your ValuCard in store, find your school’s printable bar code. Please register or update your school information here. You must register your school each year. Find your school’s printable bar code. Please note: When logging into your account, your password has been reset to your school ID.